A comparison can be a useful way of understanding ore deposits (both similarities and differences). In the case of ore deposits that have complex commodities present, this is almost essential since it has the ability to demonstrate if deposits are possibly are even feasible to explore and make into future economic deposits. Although many factors outside of grade and tonnage can affect comparisons (including infrastructure, ownership, etc. ), a comparison has proven to be quite useful in comparing Thor with other primarily silver deposits in Western Canada. There are three historic silver camps in Western Canada that are compared in this analysis. 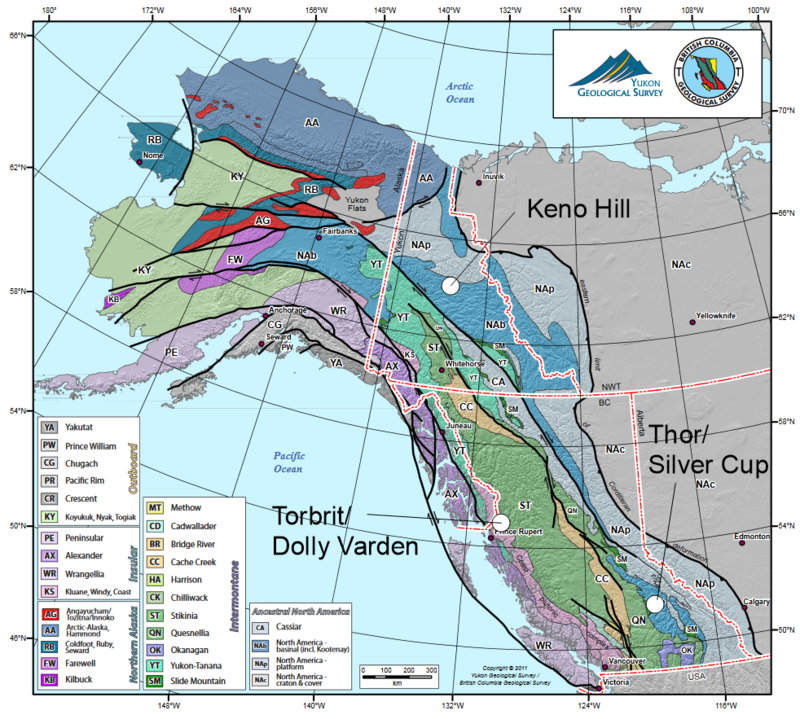 These are Dolly Varden (Torbrit Silver), Keno Hill and Silver Cup (Thor).